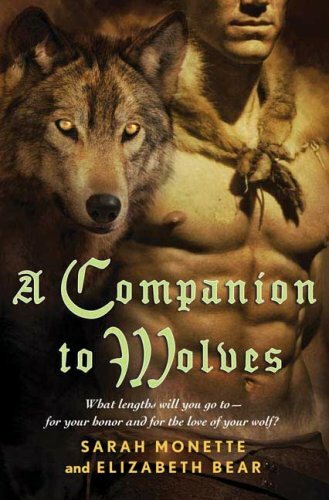 "A Companion to Wolves is the story of a young nobleman, Isolfr, who is chosen to become a wolfcarl -- a warrior who is bonded to a fighting wolf. Isolfr is deeply drawn to the wolves, and though as his father's heir he can refuse the call, he chooses to go. Isolfr, now bonded to a queen wolf, Viradechtis, must learn where his honor lies, and discover the lengths to which he will to go when it, and love for his wolf, drive him." I am using the Goodreads Blurb because I could not do this book the justice it deserves in a review. I was absolutely captivated by the world the authors created from the first page, it was unique, exciting, and sad in parts, just unlike anything I've ever really read. It will forever be a re-read for me and not something I'm likely to ever forget. (I am in absolute Awe of the brilliance and creativeness of it.) Also I cannot wait until the next one comes out to see who it will be about, and what will happen in it.